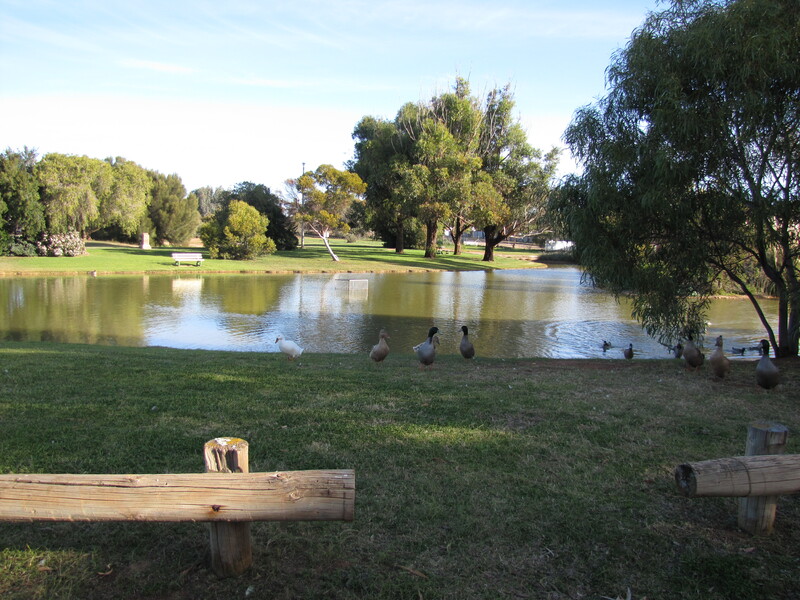 A few weeks ago we went on a short holiday to Peterborough in mid-north of South Australia. We were visiting relatives. Normally I try to get out into the surrounding countryside to do some birding, but on this occasion it was bitterly cold, overcast and not at all inviting outdoors. It was so much more inviting to stay by the fireplace with a good book, and the obligatory hot drink. This changed on the last day of our visit. The sun finally emerged – but it was still very cold. I braved the elements any way. 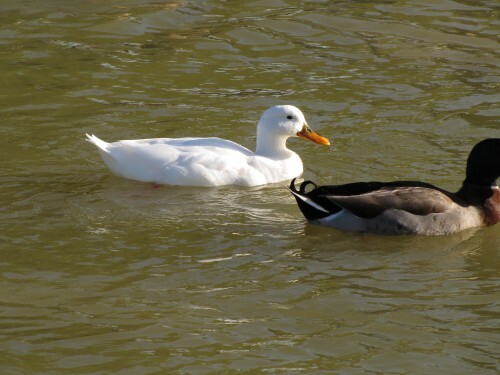 The only spot I went to was Victoria Park, an artificial lake and grassed area next to the local caravan park and swimming pool – I have included a photo below. 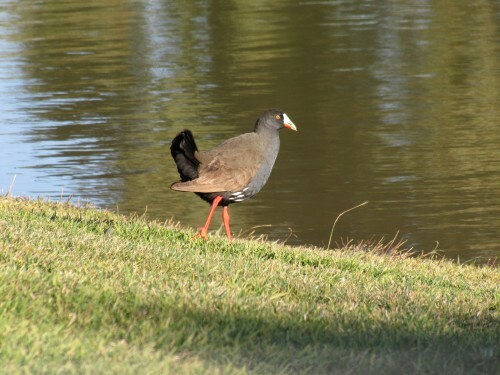 The area has been planted up with a variety of native trees and shrubs and so it attracts quite a few of our native birds, including a variety of water birds. On this occasion I was pleased to see about 80 Black-tailed Native-hens feeding on the lawned area around the small lake. They allowed me to take a few photos of them from the car but became a little skittish when I emerged to get closer shots. 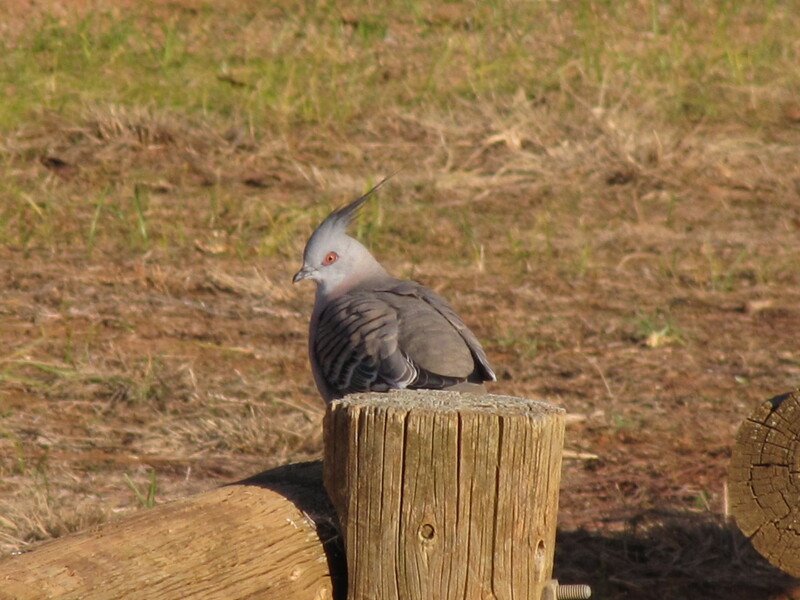 On a few occasions I have also seen Apostlebirds here, but not on this occasion. 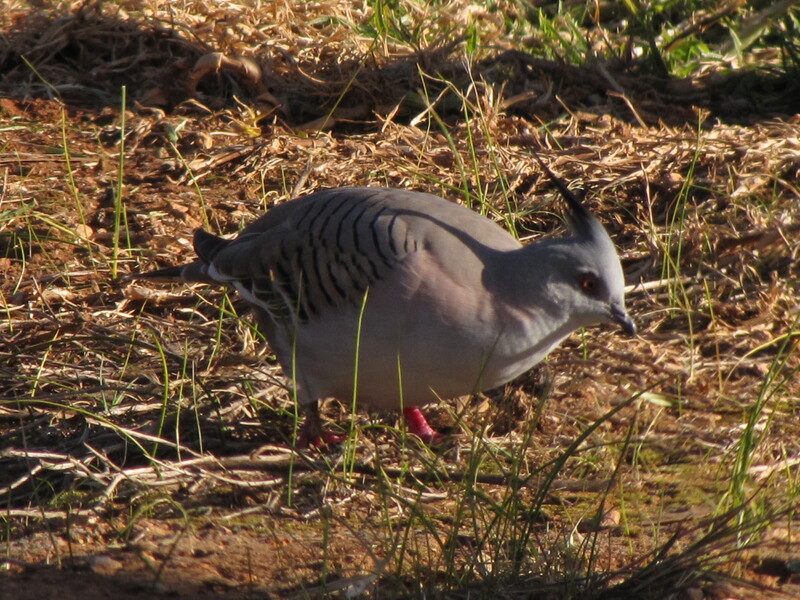 This is one species which is not common anywhere in South Australia. Peterborough township is one of just a handful of places where it can be reliably seen in this state. 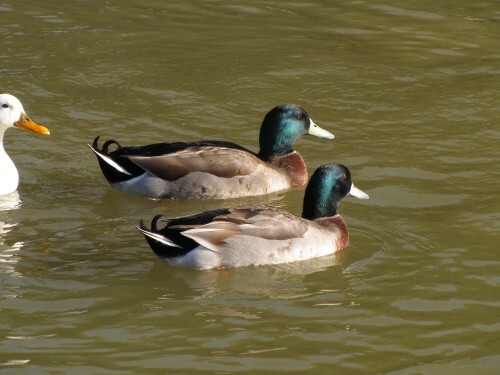 It is quite common in New South Wales and parts of Victoria, however. This morning while we were having breakfast a small flock of four Adelaide Rosellas came to visit our garden. It was delightful to see them feeding on some of the flowers of our native plants such as eremophilas. 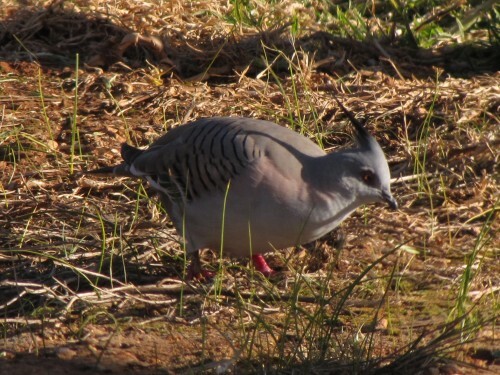 This sighting is notable in so much as they are uncommon visitors to our garden here on the outskirts of Murray Bridge, some 80km south east of Adelaide, South Australia. 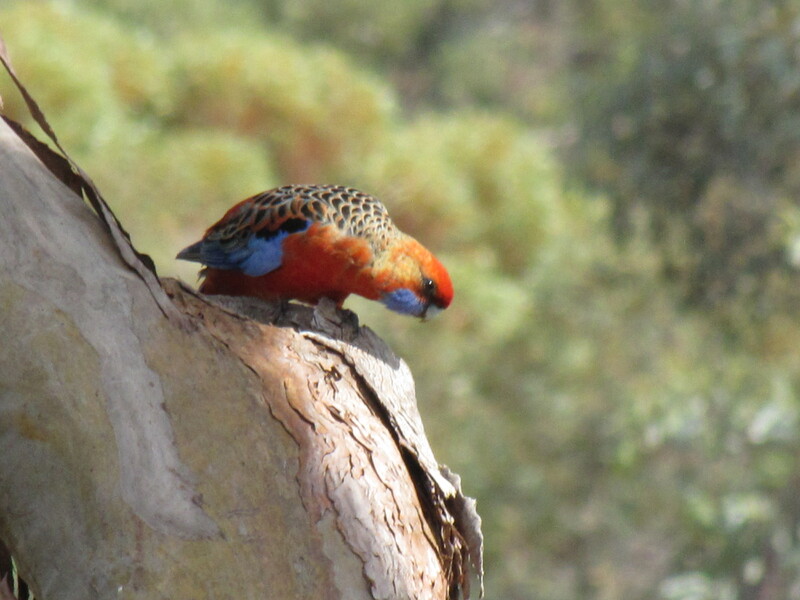 Adelaide Rosellas are a sub-species of the widespread Crimson Rosella, a common species in southern and eastern Australia. 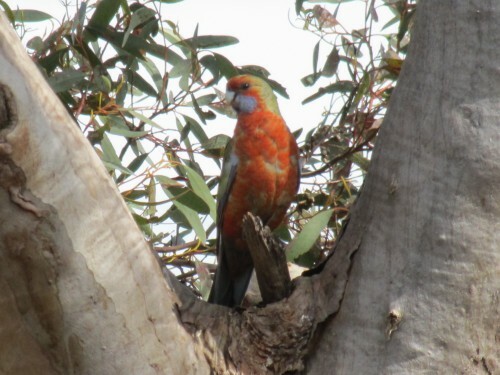 The Adelaide Rosella is largely confined to the Adelaide region through to the mid-north districts of the state. 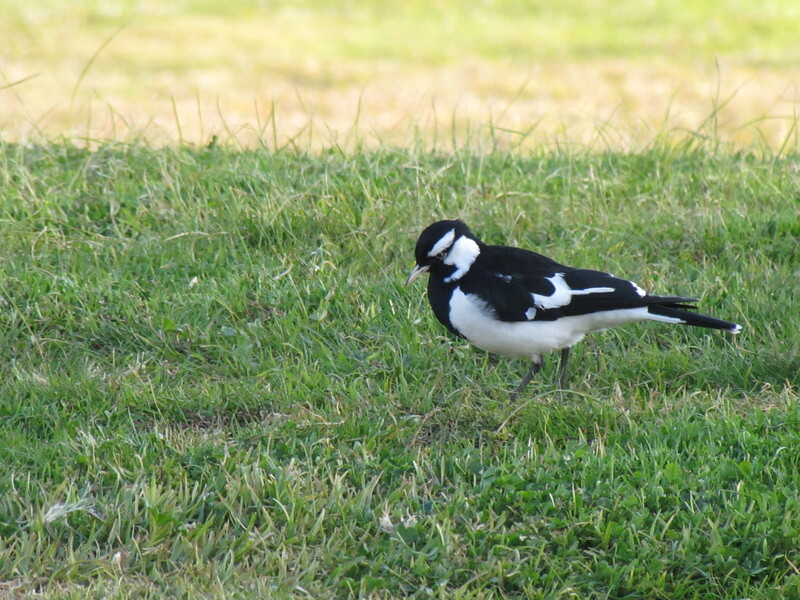 Until recent years I have not observed this sub-species so far east of the Mt Lofty Ranges, and they seem to be extending their range eastwards. We are now seeing them every few months in our garden. Over the last few days we have been visiting family in Peterborough in the mid-north of South Australia. This is where my wife grew up and over the years we have visited on many occasions. This area has many of the bird species seen in the southern parts of the state but being near to the edge of the northern, drier parts of South Australia, there is a range of dry-land species as well. The Apostlebird is not common in South Australia and I only know of a few locations where they can be reliably observed, Peterborough being one of them. Because our visit coincided with some very cold weather I didn’t venture out birding much during our three day stay, except for once when it cleared up and the sun emerged, albeit weakly. I will write about that excursion in a day or two. As we were about to leave this morning, we lingered in the morning sun in the back garden checking out a few plants. Suddenly we observed a small flock of 6 Apostlebirds in a fruit tree just over the side fence in a neighbour’s garden. The birds just sat there preening their feathers for about five minutes before flying off again. My sister-in-law works in the local hospital and often observes these birds in the grounds of the hospital. 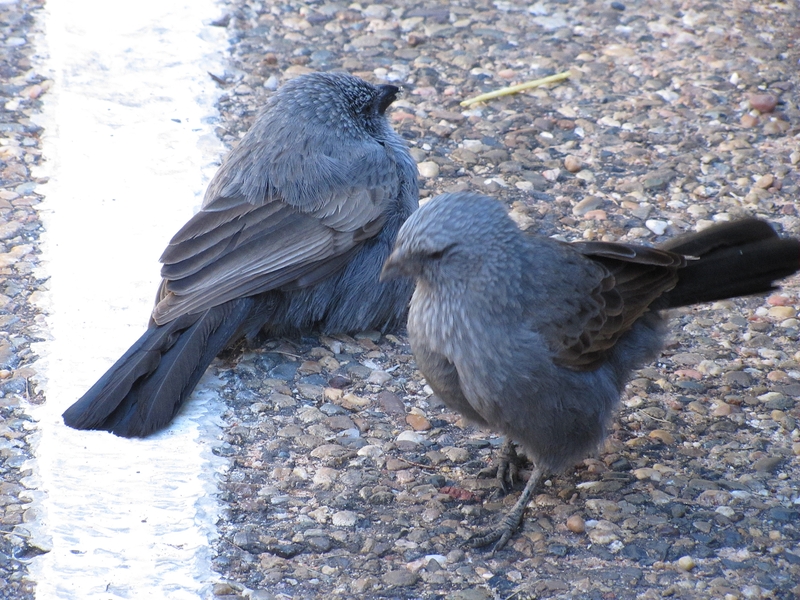 On one occasion recently she rang us to tell us that the Apostlebirds had visited her garden and were hopping around her as she watched. This behaviour is consistent with my experiences elsewhere; they can be quite gregarious and quite unafraid when approaching humans, especially when food is on offer. When camping in the Hattah-Kulkyne National Park (NW Victoria) on a number of occasions years ago we experienced this species hopping onto our picnic table trying to have a share in our food. 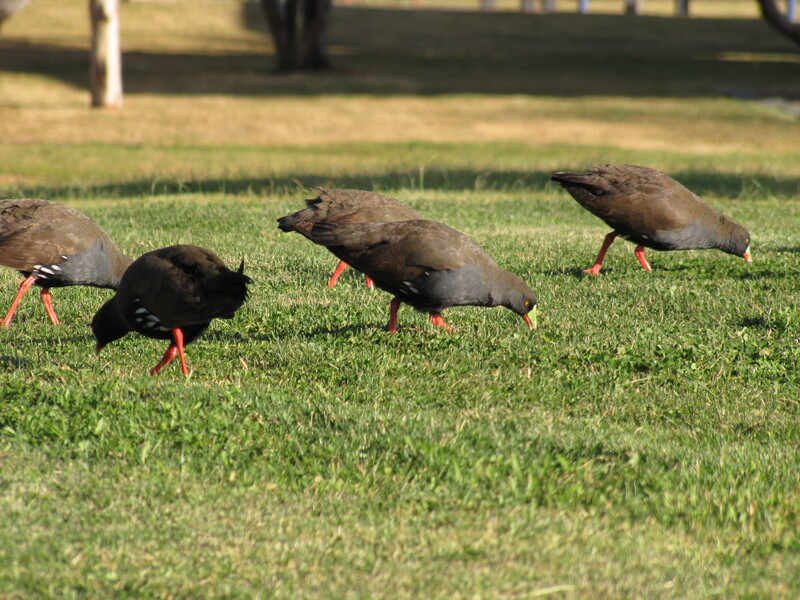 The photo above shows several birds I saw in the Western Plains Zoo car park in Dubbo, NSW, just a short distance from where several picnicking groups had been. Our sighting in Peterborough this morning was a lovely end to a relaxing few days with family. 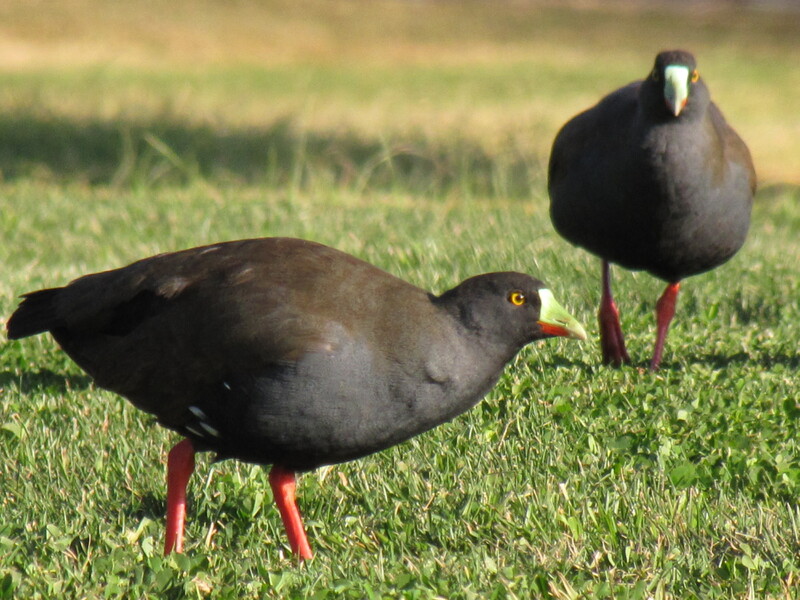 You are currently browsing the Trevor's Birding blog archives for June, 2015.